Medieval pouches are a great way to carry around your modern day items around. Our pouches will securely hold your keys, credit cards or money, cell phone, and anything else that you need to carry with you to the fair. Our Medieval Leather Pouch is made from soft, supple leather and is hand sewn together. It features an antique brass latch for closure. This pouch has two sturdy 2 wide belt straps that will fit any belt width up to 6 inches. 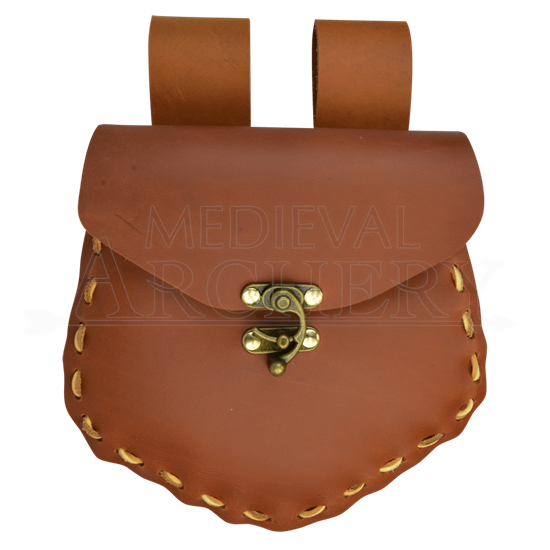 It has a very classic look that will compliment your medieval or renaissance outfit.